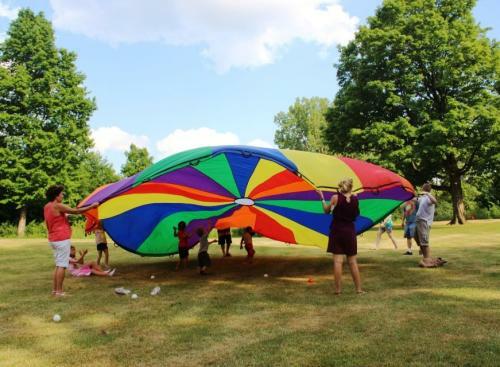 School&apos;s out, that means Racine County events are in full swing for the summer. Instead of hitting the books, let&apos;s talk about the only thing you&apos;ll have to do related to classes: studying this list and taking a field trip. Kraut Music Fest returns bringing back this 50+ year Wisconsin tradition, celebrating sauerkraut, the community and music! Well known headliners include Hoobastank and Saving Abel on Friday June 8th. Staying true to its roots, this family-oriented event will feature the famous Kraut Eating Contest, Kraut Queen and Kraut Princess pageants, offer food, beverages and gift options from more than 20 vendors. There will also be a carnival, extreme activities (rock climbing, zip line, free fall and more). 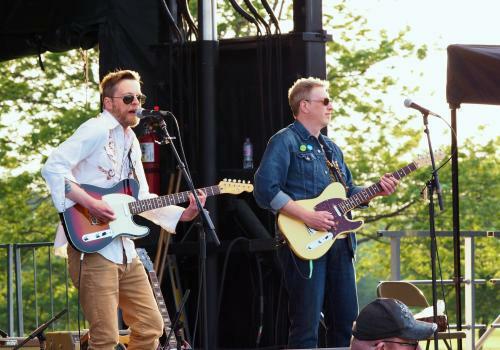 This 4-day music and entertainment festival takes place right on the shore of Lake Michigan in Pershing Park June 14th - 17th - a perfect Father&apos;s Day weekend out! 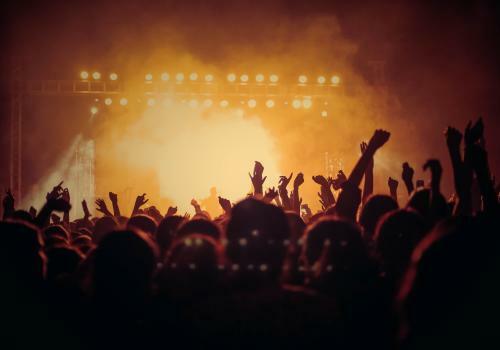 Headliners include rock legends Eddie Money and Dokken. Ticket packages are available now. 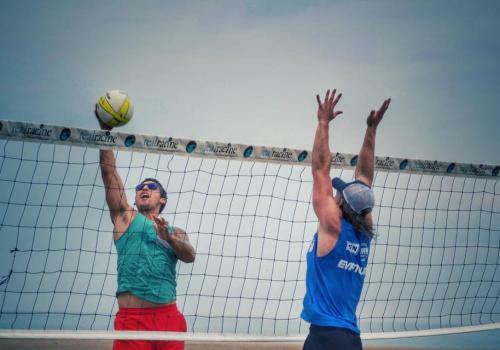 Real Racine presents the EVP Beach Sports Festival June 16th. The volleyball courts will be set up on North Beach, 100 Kewaunee St., adjacent to the Oasis. All events are FREE to spectators. Food and beverages will be available for purchase. Two-person men&apos;s and women&apos;s volleyball teams will compete in pro and amateur divisions.The pro and amateur teams that finish in first and second place are awarded a $4k purse and a bid to compete in the 2018 EVP World Finals of Beach Volleyball Championship held at Hampton Beach, VA in August. The Family Reunion Music Festival (previously known as Dan Jam) is an annual family celebrebration of life and love of music. 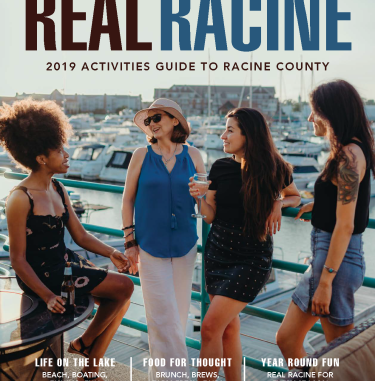 It&apos;s a fundraiser for the Racine Literacy Council and gathers food donations for the Racine County Food Bank. A variety of non-stop music and performances, kids games and family activities. Admission is $10 ($8 with two non-perishable food items.) Children ages 6 and younger, free. Each paid admission includes four food tickets and one drink ticket. 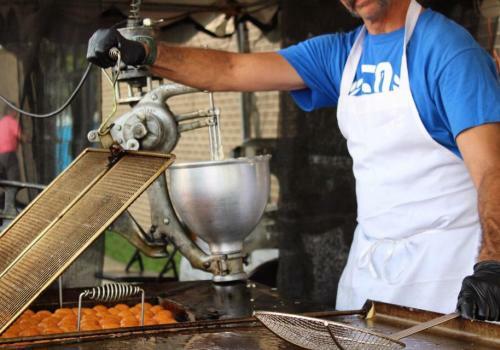 Ranked one of the area&apos;s favorite ethnic festivals, the Annual Greek Festival features authentic Greek food, pastry, wines, coffee bar, costumed dancers, cooking demonstrations, shopping - and don&apos;t forget the Loukoumades (honey puffs)! Church tours available.Gyros lunch 11 a.m to 1:30 p.m. Friday. Festival hours: 5 to 10 p.m. Friday; 12 to 10 p.m. Saturday; 12 to 7 p.m. Sunday. Free parking and admission. Warrior pose the Wisco way! Embrace your inner yogi on Saturday mornings on Monument Square with a yoga session, followed your choice of brew (beer or coffee)! Each session is $15 and afterwards you will receive a $5 coupon for a brew at one of the participating locations. One of Wisconsin&apos;s oldest and most respected juried fine art fairs presents more than 70 artists from around the country exhibiting works in a variety of media. 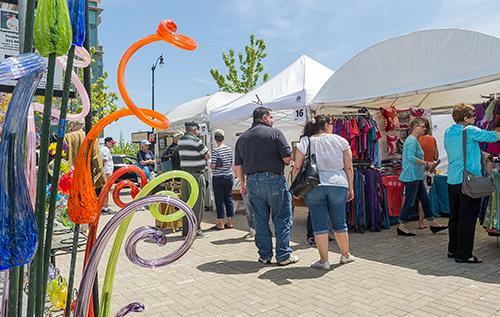 The festival includes the Great Lakes Chalk Art Competition and Chalk it Up and Chow Down which features local mobile food vendors offering a variety of dining options along 5th Street adjacent to the GLCAC Artists.